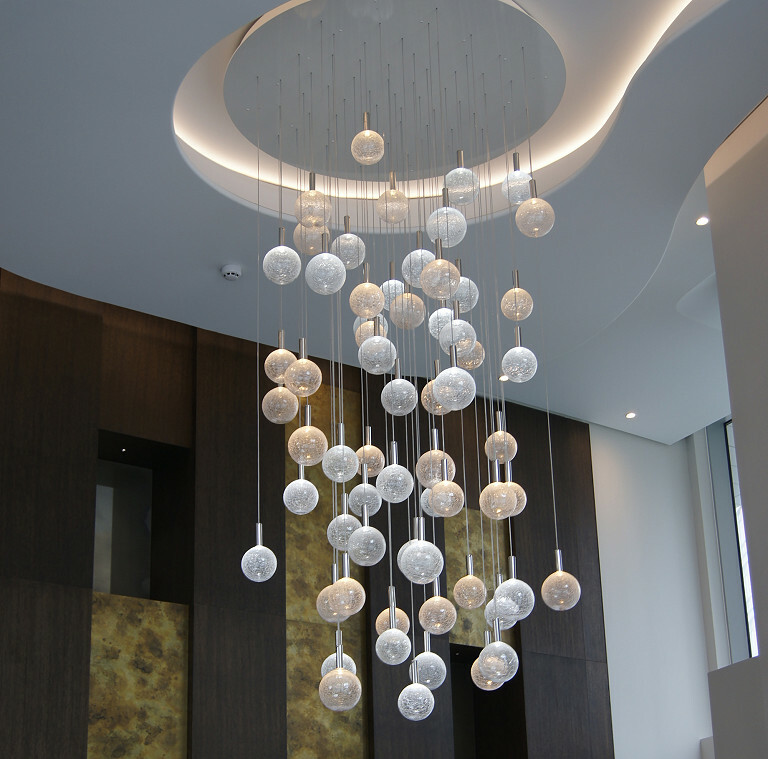 The Contemporary Chandelier Company designs, builds and installs sculptures in light and glass that simply cannot be sourced anywhere else. 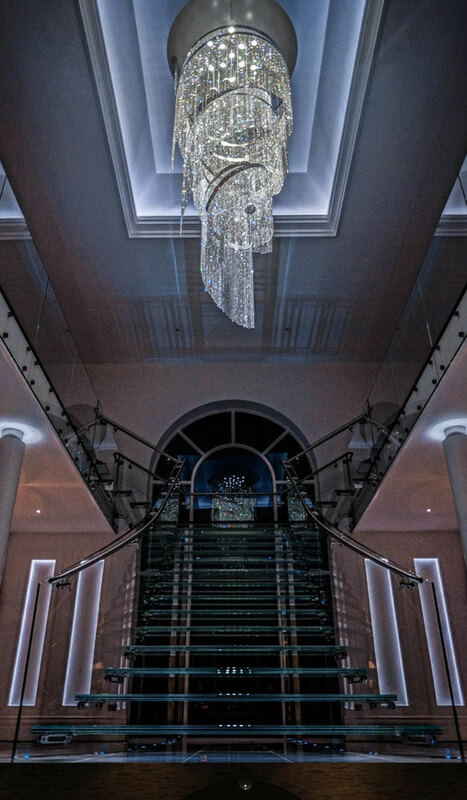 Building on over 30 years’ experience of working with blown glass, we combine this beautiful material, skilled craftsmanship, and the latest technologies to create a unique collection of chandeliers, wall lighting and water features. We specialise in large installations and centrepieces, tailored individually to enhance and complement their setting. Whether indoor or outdoor, residential or commercial, each project is developed in an informed conversation between client and designer, often initiated by overlaying the intended design onto architectural drawings. 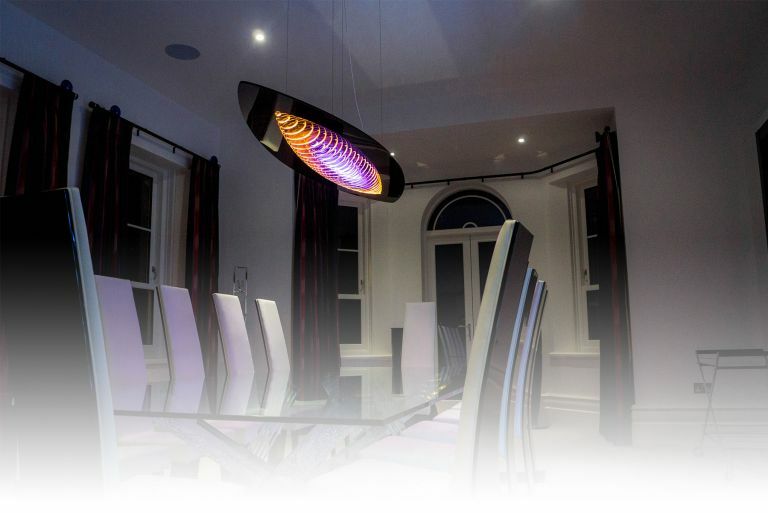 Consequently each project is original, distinctive and completely bespoke. All our creations are handcrafted in England and we produce only a limited number annually. Most are destined for residences in the UK, but we increasingly welcome clients from all over the world. 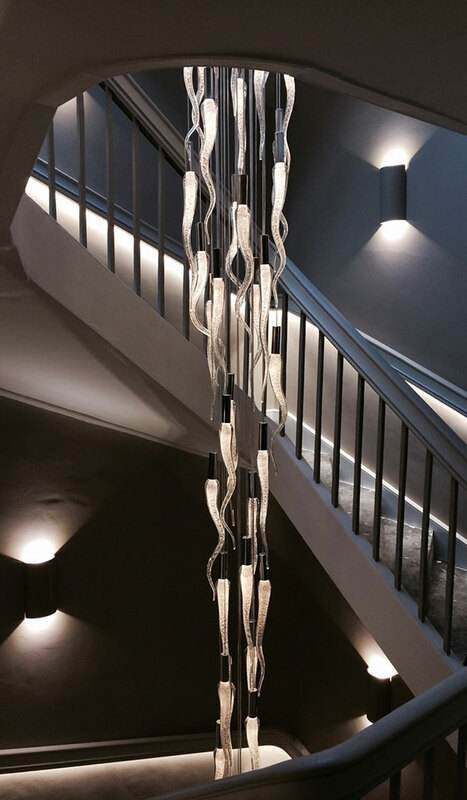 Combining high quality Austrian Crystal with a unique aesthetic and state of the art LED lighting. Unique hand made glass chandeliers with integral LED light source. 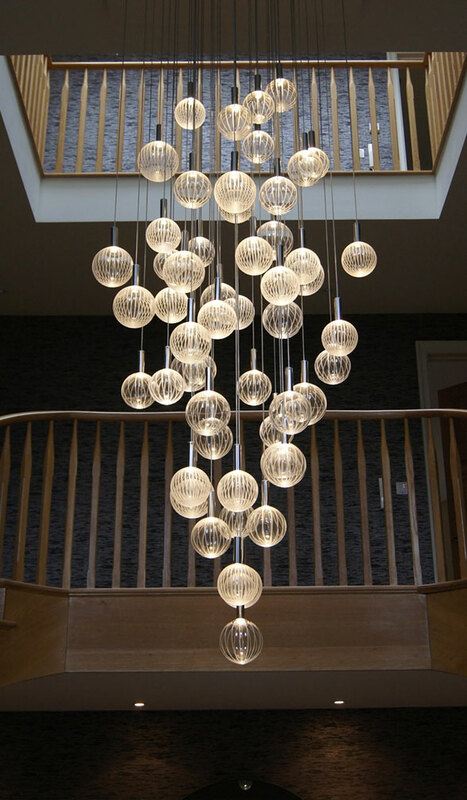 Bespoke Lighting Installations reflecting Natures' art. Falling Leaf - our first experiments with 3D printing. Page created in 0.509691 seconds.